Everyone’s a fan of getting more for less, and there’s no feeling like heading off to make holiday memories knowing you haven’t broken the bank. Enter, our SuneoClub collection. All the hotels in this range are geared around getting the most out of your trip, and having plenty of pennies left over for absolutely necessary extras – like that celebratory piña colada at the airport, for instance. 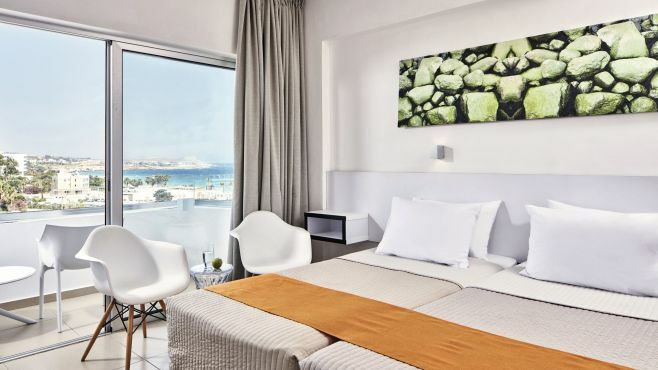 But, that doesn’t mean there’s been any skimping either – every SuneoClub hotel is filled to the brim with all the must-haves, and they all stick to a tried-and-tested, no-frills formula. Budget shouldn’t mean being stuck at the back, so we’ve made sure that our SuneoClub hotels are a 10-minute walk from the beach – and some are perched right on the sand. They’re all less than a 20-minute drive from the city centre, too, making souvenir shopping super easy. 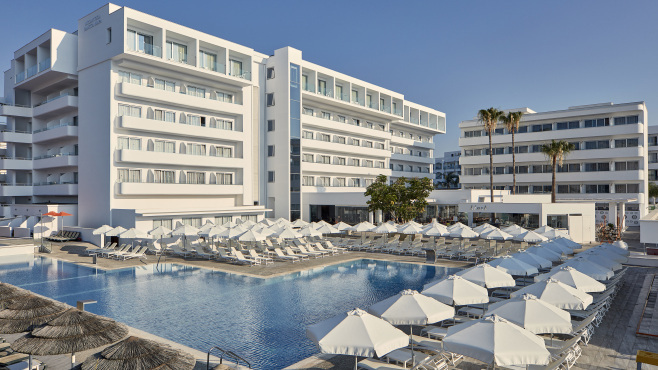 Take the SuneoClub Odessos for example – you’ll find it bang in the middle of Bulgaria’s Golden Sands resort, and the beach is just a five-minute stroll away. Plus, every single hotel’s in a top holiday spot, so whether it’s a waterpark in Cyprus or a Greek island boat trip that’s on the agenda, you’re sorted. Every SuneoClub hotel has a pool, meaning it’s easy to splash about. It’s a friendly scene poolside, so meeting new people or just having a chat’s the norm around these parts. And, we always make sure there are loads of sunbeds up for grabs. At the SuneoClub Garden Nevis, in Bulgaria’s Sunny Beach, you’ll find a jumbo pool, and a snack bar sat right next to it for topping up those energy levels. SuneoClub’s signature WorldCuisine set-up does exactly what it says on the tin. 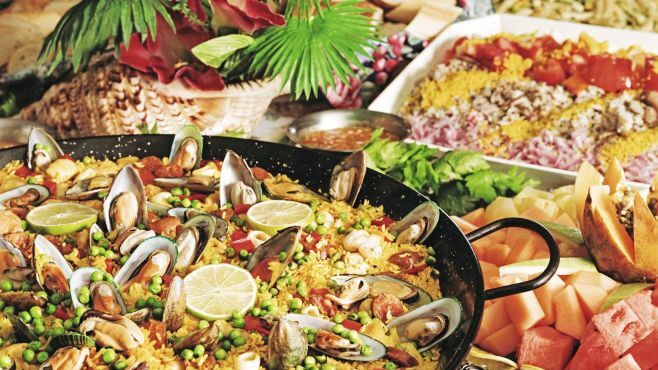 It’s an All Inclusive outfit, and you’ll find a mix of buffet stations, fresh salad bars and grills, with flavours thrown in from more countries than you can shake a breadstick at. Plus, we always have at least two spots where live-action cooking happens – think personalised stir fries, and your pizza dough twirling in front of you. We’ve revamped the idea of hotel bedrooms – after all, how often are you actually going to use that fancy in-room hot tub, when the beach, the pool and the bar’s outside in the sunshine? Holidays aren’t about sitting in your room, so we’ve stripped it back to basics – without dialing down the style. You’ll find bright, welcoming rooms in all our hotels, with comfy beds and a few mod-cons. Plus, we make it easy on solo travellers, families and groups, by having single and triple rooms, as well as apartments, across our SuneoClub roster. Our friendly teams are on hand to make sure you have a holiday to remember, for all the best reasons. Forget any ideas of sprawling resorts with staff that you barely see – we’ve got a friendly vibe going on. Fancy playing cards at your sunbed? Just ask. Looking to keep the kids occupied? Our SuneoClub team love a poolside game or five. On that note, we’ve also made sure younger guests are taken care of – our SuneoPlay zones are designed with an airport theme, and are packed to the rafters with interactive games. Plus, when it’s time for the little ones to get out of the sun for a while, this is the ideal spot. Ready to book your budget-busting break? Take a look at our best deals. Or, find out about our family-friendly SplashWorld holidays. Plus, check out our handy tips on how to holiday on a budget.